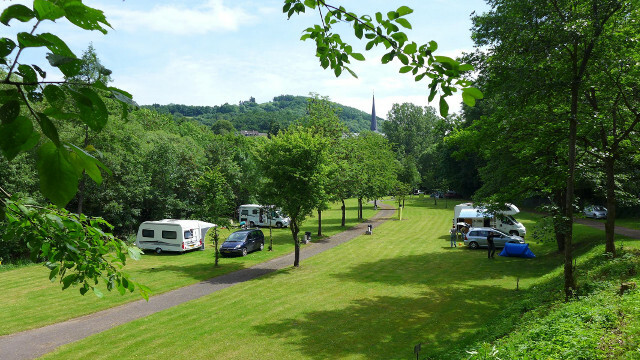 You will be our guests at one of the most idylic camping sites in the Eifel. 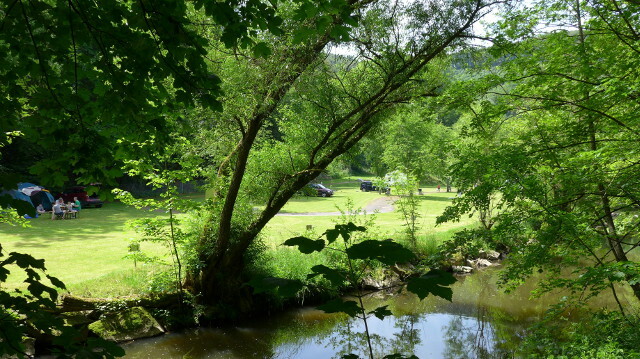 It is located on the banks of the river Prüm near the seperatly built Bungalow-holiday park. 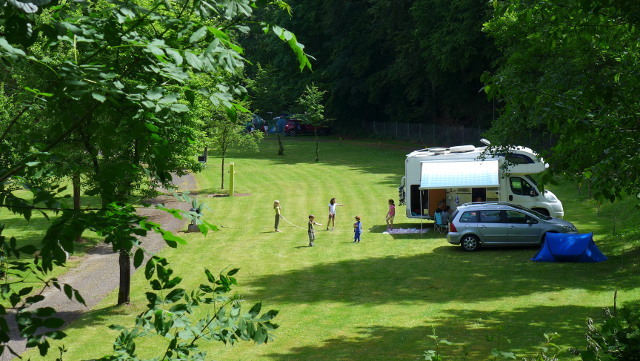 There are 95 generously sized pitches available. 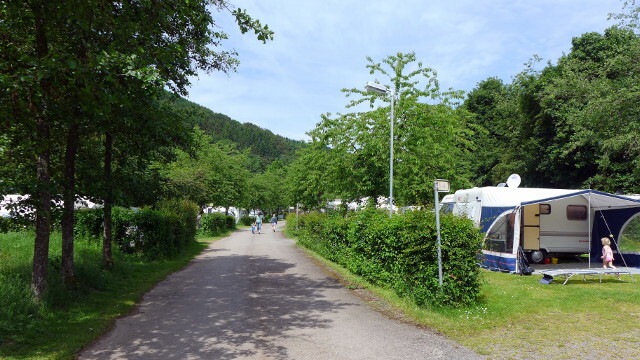 New: starting 2012, seasonal pitches can be hired from 1st of April to 31st of October, total costs 890.00 Euro for 2 people, pitch, electricity, water and free entry to the outdoor swimming pool and beach bar nearby (next to plain building). 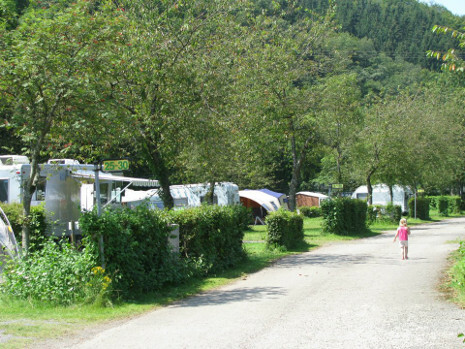 Situated at the site is a launderette with washing maschines and tumble dryers and of course modern facilities for your personal hygiene. The local outdoor swimming pool situated next to our complex is free of charge for our guests. Profit from a wide range of leisure activities. Please find further information in our section „Leasure at the park“ and „Attractions nearby“. Our cosy restaurant „Parkstübchen“ offers a wide range of drinks and meals in a personal atmosphere. Find a great selection of groceries, fresh bread and rolls in our shop, the „Park-Lädchen“.